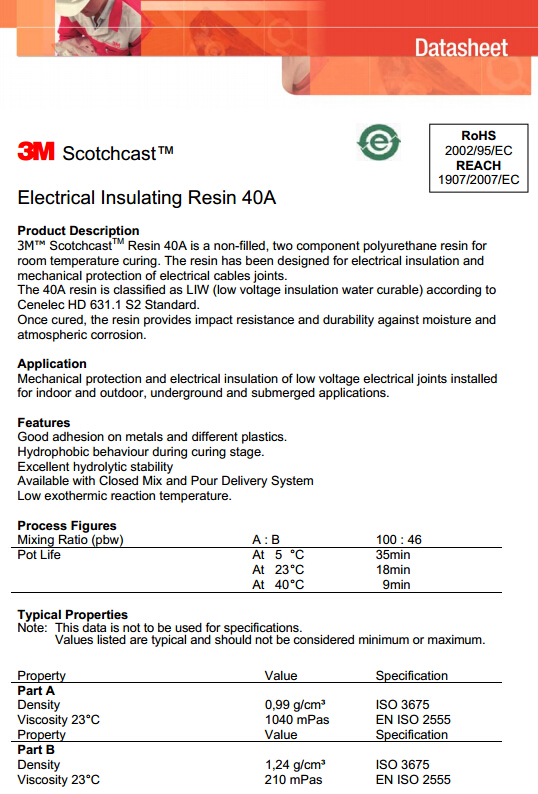 3M™ Scotchcast™ 40 Premium Resin is a premium 2 part polyurethane designed for electrical insulation and mechanical protection of low voltage electrical cable joints. 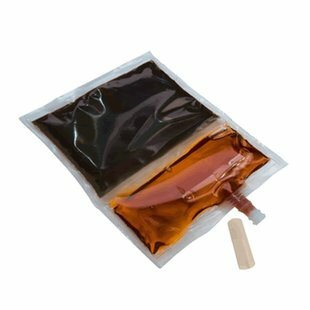 The resin once hardened provides impact resistance and durability against moisture and atmospheric corrosion. 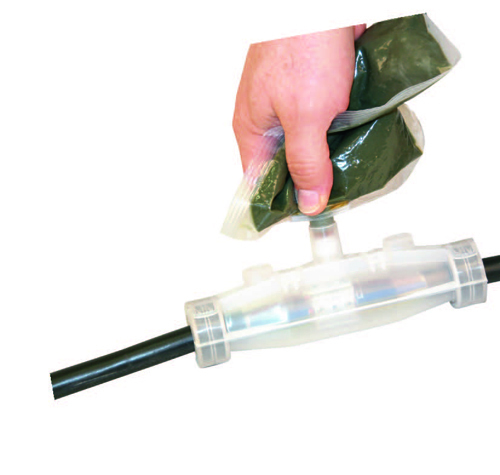 Easy to install as part of 3M Cable Joints with a closed mix and pour system for added safety. Particularly recommended for use in wet or high humidity areas. Good adhesion on metals and different plastics. 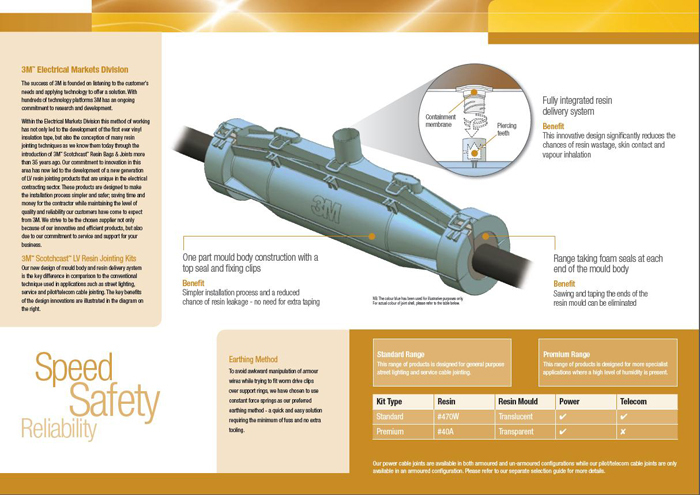 What Have 3M Done To Minimise Cable Jointing Health & Safety Concerns? 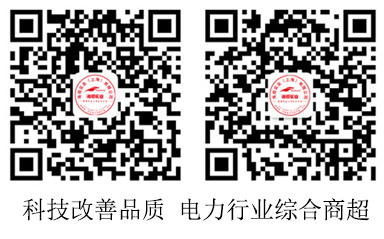 In What Situations Would I Require A Hazardous Area Joint? How Can Our Network Of Distribution Partners Help You? 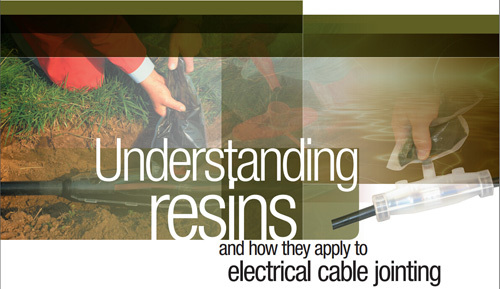 Where Can I Receive Product Installation Training For 3M Cable Accessories? 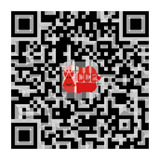 What Approvals Do 3M Joints & Terminations Have? 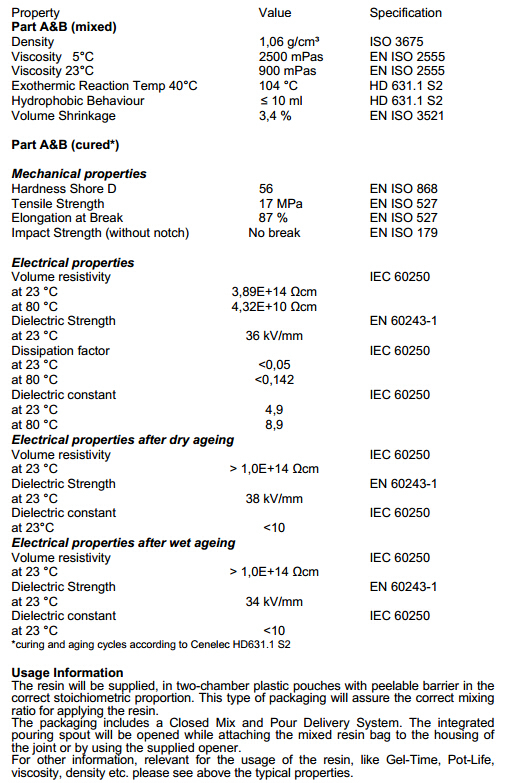 Electrical Tapes & Mastics For Almost Any Application! The insulation is then removed and connectors are installed. 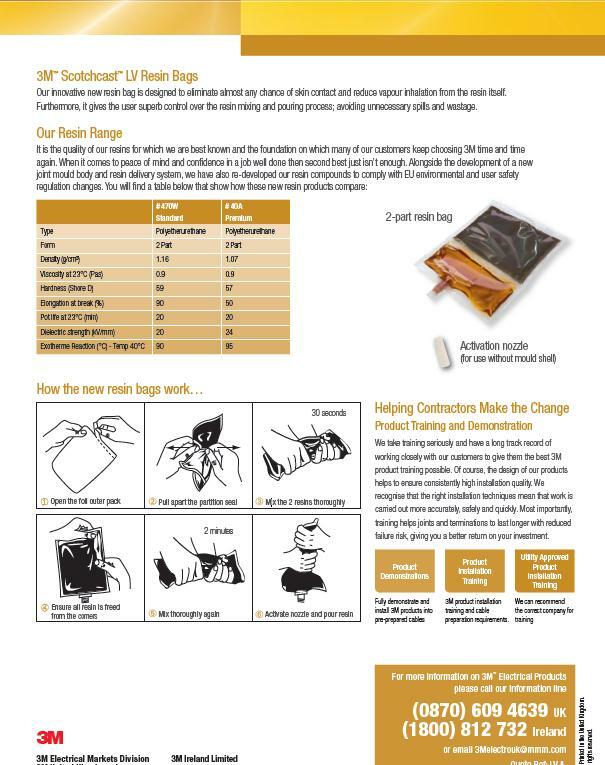 A number of our kits come complete with connectors for ease of selection. 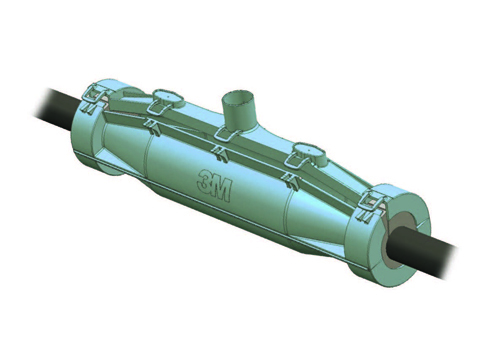 However any connector can be used providing they suit the requirements of the cable and fit dimensionally within our joint. 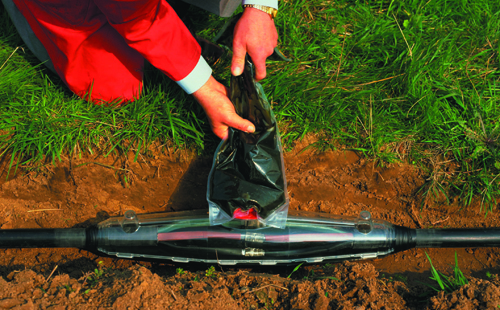 Scotch® 23 Self Amalgamating tape is used to over tape the connectors. Layers are applied tightly around each connector over lapping onto the primary insulation on each side of the connector position. For cables up to 1kV, 3 half lap layers are applied. To avoid awkward manipulation of armour wires while trying to fit worm drive clips over support rings, we have chosen to use constant force springs as our preferred earthing method – a quick and easy solution requiring the minimum of fuss and no extra tooling. Scotch® 23 Self Amalgamating tape is used to over tape the constant force springs. Ensure it is applied in the same direction as the constant force spring. 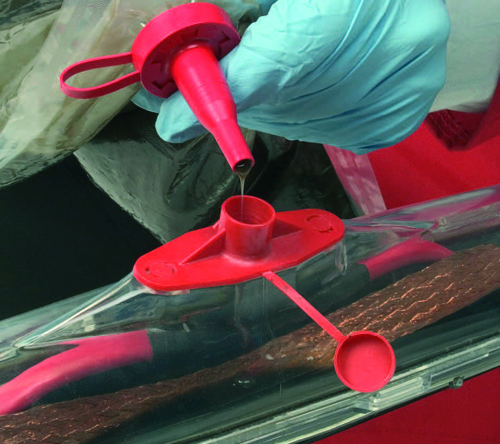 The cable sheath is then abraded to remove any contaminants to ensure the resin bonds to the cable jacket. Unlike our standard and premium joints, the economy range utilises a traditional two part mould shell that requires the cutting of the stepped ends to fit the required cable diameter. Scotch® 23 Self Amalgamating tape is used to seal the conical ends of the mould to the cable sheath. 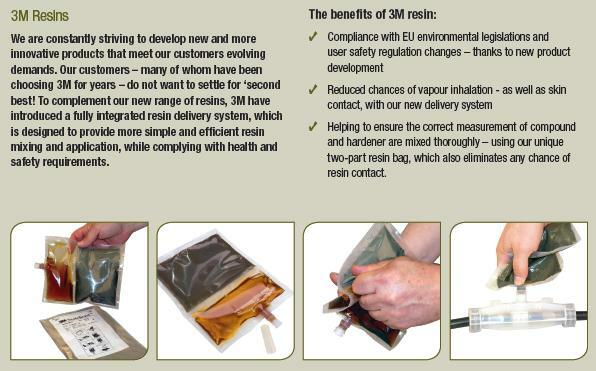 Our resin compound has been re-developed to comply with EU environmental and user safety regulation changes, and are all REACH & ROHS compliant. When pouring the resin into the mould ensure the gloves provided are worn to avoid potential skin contact. 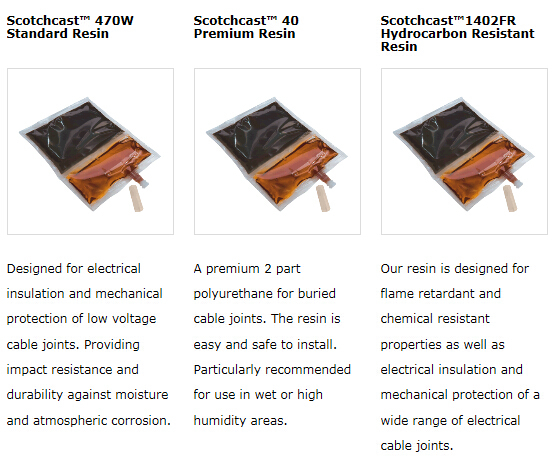 The Scotchcast Standard resin joints are ideal for general purpose street lighting & service cable jointing.